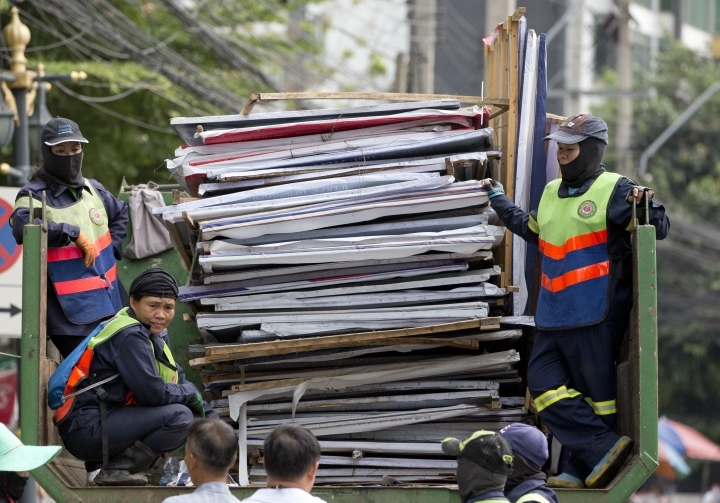 BANGKOK — A group of Thai political parties led by one ousted from power in a military coup said they believed they won enough seats in the recent general election to form the next government. The announcement Wednesday came amid concerns about potential irregularities in Sunday's vote, the first since a 2014 coup, and before a full preliminary vote count has even been released. Official results aren't due until May. 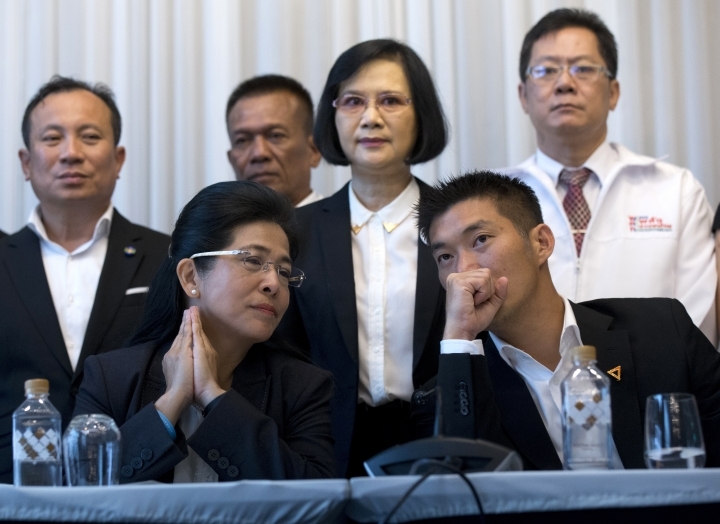 The leader of the Pheu Thai party, which headed the last elected government, and the leaders of five other parties held a news conference to say they believed they had won more than 250 seats in the 500-seat lower house. They said another small party had also agreed to join their potential government. 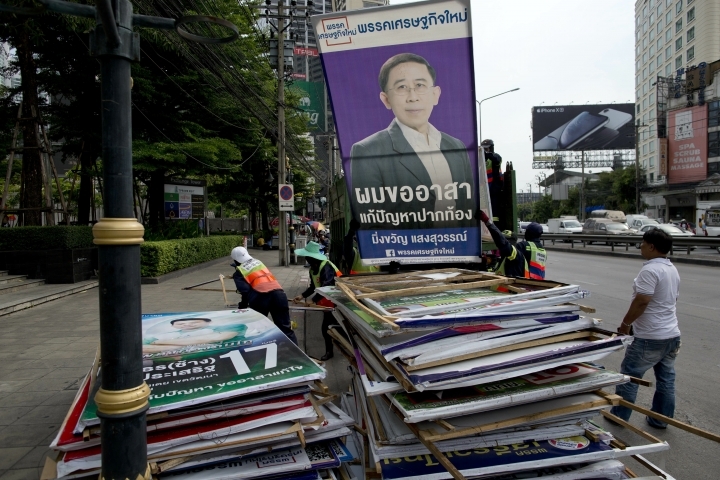 "Today, we hold the fact that parties on the side of democracy have received majority support from the people, although figures are not stable yet," Pheu Thai's Sudarat Keyuraphan said. 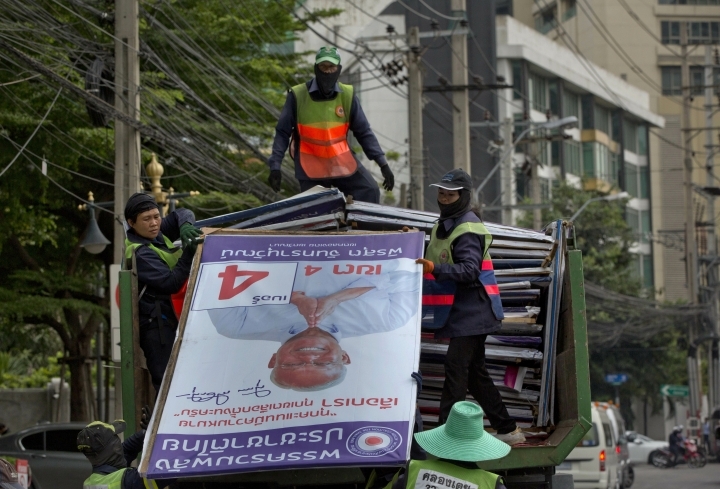 The Election Commission, appointed by the ruling junta's hand-picked legislature, delayed the release of a full preliminary vote count on election night and then again on Monday. The commission then said it would release its final preliminary results on Friday. Late Wednesday, the commission's secretary-general, Charungwit Poomma, made clear that the results released Friday would only include 95 percent of the vote. He said the other 5 percent could not be released due to investigations or lawsuits in certain constituencies. That will complicate efforts for parties to determine how many seats they will have, especially the ones that will be based on a party-list proportional representation system calculated using a formula based off of the full vote count. Palang Pracharath party leader Uttama Savanayana told a news conference Wednesday that the party was waiting for official results, but had talked with several other parties, both big and small. He said the party was open to negotiating over policies, but not on its plan to nominate junta leader and current Prime Minister Prayuth Chan-ocha as the next premier. "How many votes each party has is based on their own understanding, not official results," he said. 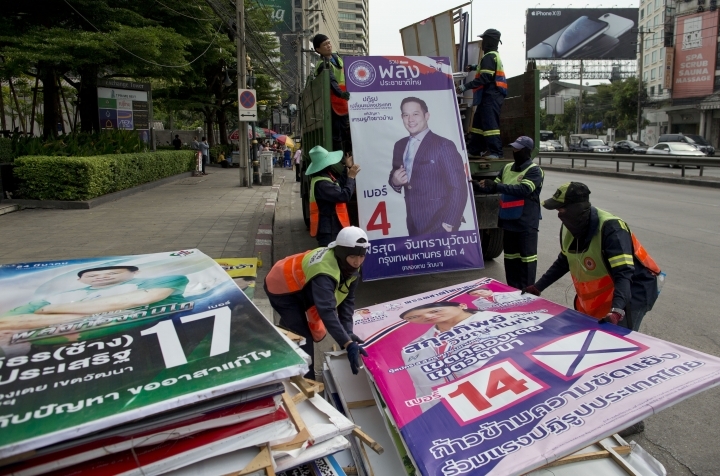 Even if the Pheu Thai-led coalition comes together and it secures more than 250 lower house seats, it may not get to form the government due to the country's new political system. Since the coup, the junta has used the absolute power it granted itself to go about rewriting the country's laws, including commissioning a new constitution and creating an electoral system that severely handicaps parties without links to the military. 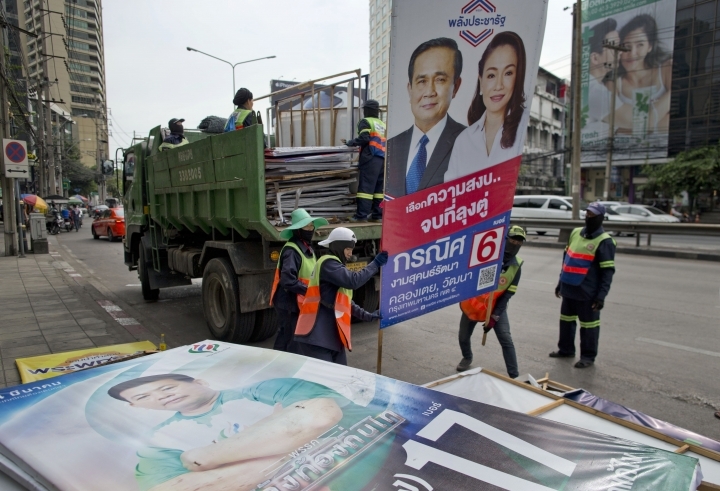 The vote for prime minister will likely take place sometime in May and Prayuth will have a considerable advantage. The coalition announced Wednesday calls itself the "democratic front." 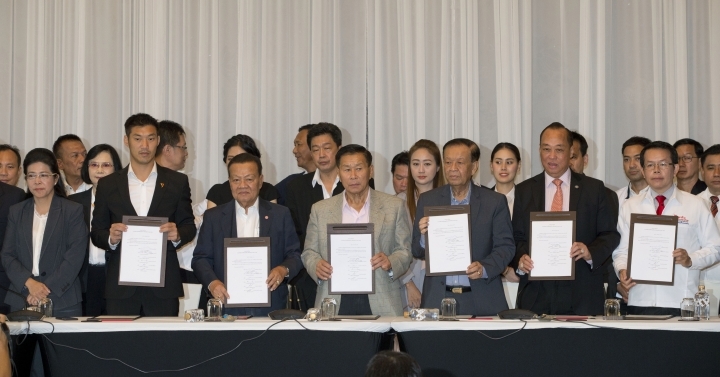 The six parties that signed a joint statement were Pheu Thai, Future Forward, Seri Ruam Thai, Prachachart, Puea Chat and Palang Puangchonthai. 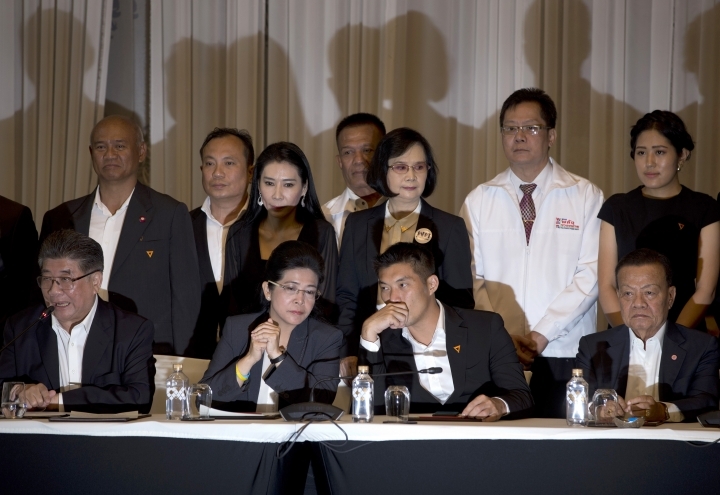 Pheu Thai's secretary-general, Phumtham Wechayachai, said the New Economics party had verbally committed to joining the coalition. 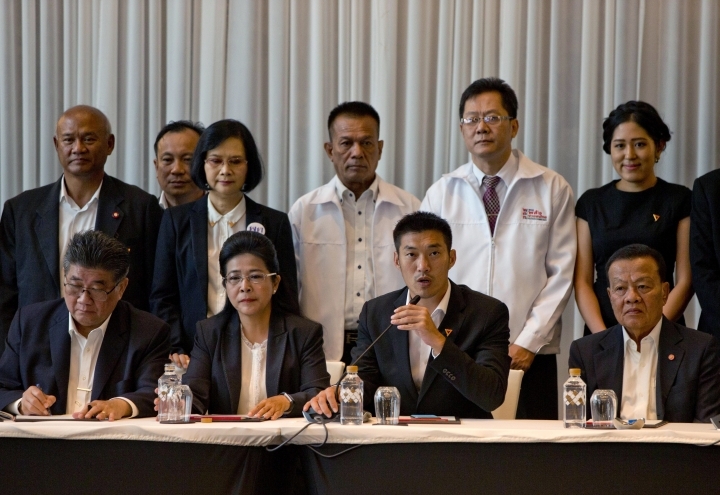 Future Forward party leader Thanathorn Juangroonruangkit said his party has committed to working with the coalition to "stop the junta's extension of power." He invited other parties that had vowed to oppose the junta during their election campaigns to join them. 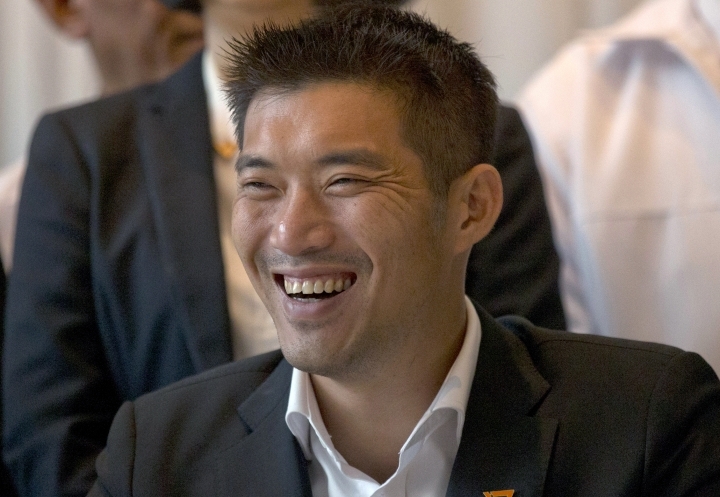 Thanathorn said his party stands by the principle that it would support the party that had won the most seats in the election, which he said has turned out to be Pheu Thai. "We believe that the most appropriate candidate for prime minister is Sudarat," Thanathorn said. Sudarat said the coalition's main intentions are to halt the junta's rule and stop Prime Minister Prayuth from returning as prime minister. "The people's expectations are for us to keep our promise to the people, which is to stop the junta's extension of power and for us to be able to form a government," Sudarat said. "We will try our best to fulfill the people's expectations." The Election Commission has kept a low profile since its last news conference and had yet to comment on the democratic front's claim that it had won a majority. The last comment on its official Facebook page was from Wednesday morning. "Let's take a break from stressful issues," the post began, going to ask people to show appreciation to scouts and other volunteers who had helped set up polling stations on election day.